Last year I attended the Critical Voices Network Ireland conference, an international event that attracts people from different backgrounds who are interested in critical perspectives on mental health and illness. This year’s theme in Cork was the ‘change’ in mental health services, and the evidence for it happening in certain areas. First, personal narratives are gaining value as a powerful tool in enabling discussions and making a difference. Hopefully, mental health services will continue to make space for them to be told and heard. Second, trauma and the diagnosis of personality disorder are becoming frequent features in the dialogue between health professionals and mental health activists. The environment shapes our mental well-being, but not all aspects of the environment attract equal recognition from the services, and the impact of wider cultural, political, historical, and socio-economic environments is often underestimated or ignored. Trauma informed care has been implemented to train mental health workers how to recognise environmental harm and how to respond to it. Addressing the diversity and individuality of trauma poses a question about whether care is truly trauma informed, or merely trauma aware. Linked to disruption in human connections, relational trauma is not limited to childhood sexual abuse or domestic violence. It encompasses a variety of experiences including entrapment, rejection, discrimination, or simply growing up in an environment that does not meet our needs. Injured adjustment, emotional deregulation, and disturbed behaviour are the consequences of trauma, but these consequences are also some of the criteria used for diagnosing personality disorder. The #MeToo campaign was initiated in 2006 as a grass roots movement aimed at spreading awareness of sexual violence among women of colour, In 2017 it transformed into an international rally against sexual assault and harassment. Millions of women across the world, including many celebrities and public figures, have now used social media to share their experiences, revealing the magnitude of the problem and the extent of the difficulties women still face. Personality disorder is a gendered diagnosis, as the majority of people diagnosed are women. The diagnosis has been criticised for ignoring the aetiological impact of trauma and taking it out of societal and historical context. Symptoms that may be adaptive responses and means of survival for the indivitual, such as self-harming, impulsivity and aggression, are often branded as difficult and irrational behaviour. Subsequently, women’s reactions to distress are individualised and pathologised, causing further stigma. The role of gender inequalities and their impact on women’s mental health is also important. With fewer opportunities and less access to resources, women remain objectified and exposed to sexual violence, misogyny and everyday sexism, the reasons behind the #MeToo campaign. 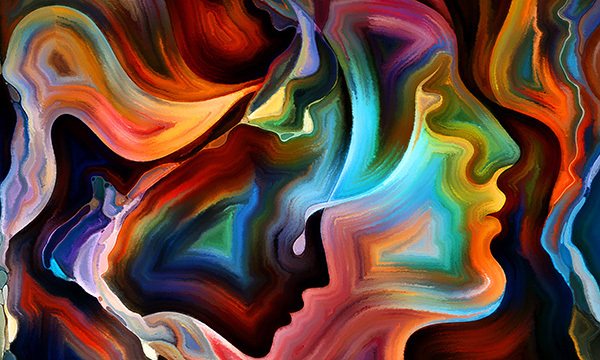 Despite the training and implementation of the trauma informed framework, there is still a controversy around personality disorder diagnosis among mental health nurses and other professionals. The diagnosis continues to cause apprehension and fear, and it is not uncommon to hear professionals using terms such as ‘attention seekers’ or ‘bed wasters’ when referring to patients with the diagnosis. Listening to personal narratives and reminiscing on my own experience, I could not help thinking that, as a profession, nurses still struggle to understand and respond to trauma. Mental health nursing is a gendered profession, as most nurses are women. Are we not all in the same boat? Surely womanhood means sharing transgenerational experience and mutual consciousness. Should it not enhance our empathy and ability to facilitate healing, making us an example and role models for our male colleagues? Interestingly, during my nursing education, the most in-depth and compassionate training about personality disorders came from my male mentor. Nevertheless, it is fair to say that the conference was a celebration of women. Women dominated as keynote speakers and formed the majority of the audience. Confident, professional and passionate women discussed issues that were important to their mental health. Hopefully this reflects change, not only in health services and mental health nursing, but also in society as a whole.